Pronexus VBVoice IVR Blog | Your Voice. Uniquely You. What do your fingerprints, your hair and your voice all have in common? They all carry unique characteristics that identify you – and only you. 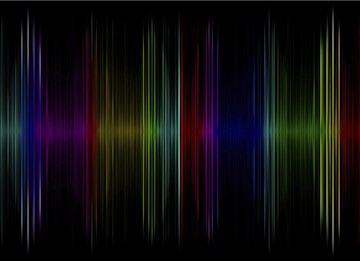 "A voiceprint is a set of measurable characteristics of a human voice that uniquely identifies an individual. These characteristics, which are based on the physical configuration of a speaker's mouth and throat, can be expressed as a mathematical formula. The term applies to a vocal sample recorded for that purpose, the derived mathematical formula, and its graphical representation. Voiceprints are used in voice ID systems for user authentication." Voice activation and authentication are maturing and becoming mainstream – it won't be long before your bank, airline or utility offers you a phone password that is simply "say 'This is my password'". Your voiceprint will become your password by the very nature of its unique characteristics. Instead of a four digit pin or remembering your best friend's mother's maiden name, interactive voice systems will simply know you and authenticate you through your voice. Clearly, there are huge advantages to effective and secure voice authentication. Password fatigue prevents many users from following password best practices; often, users cycle between a few passwords that they are confident they will remember, introducing great security risk. If all passwords are the same, once a person or program cracks one of your passwords, they could have access to a wealth of personal information. Voice authentication eliminates password fatigue while improving security - no sticky notes with passwords scribbled on them, no reliance on memory, no "I forgot my password" question-and-answer rigmarole. This game-changer for user authentication is your over-the-phone fingerprint, and as the technology improves, more and more industries will be looking to offer users the option to forget one more password. How will you take advantage of voice authentication? Let us know!